Following the update of our main website at http://www.fifthsense.org.uk which now has its own ‘News’ page we will no longer be publishing posts on the https://fifthsenseuk.wordpress.com site. This entry was posted in Uncategorized on March 30, 2016 by Fifth Sense. 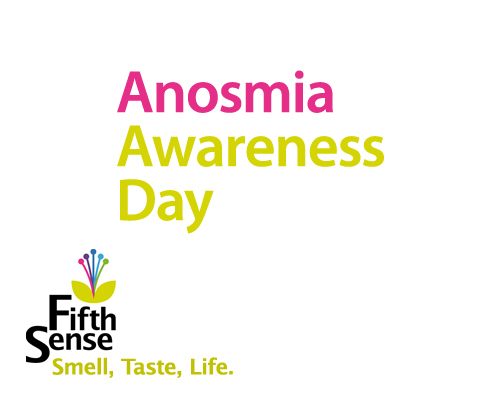 Saturday 27th February is Anosmia Awareness Day and Fifth Sense is once again proud to be supporting this important date. 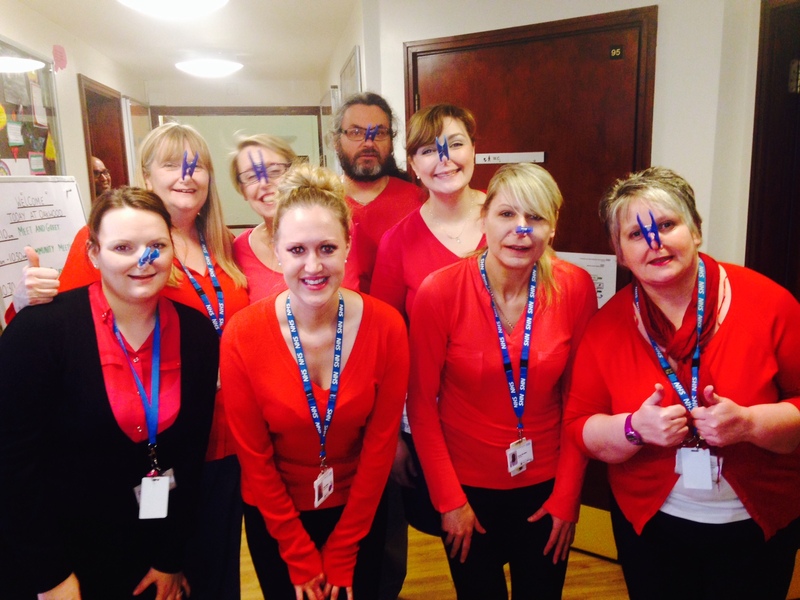 Fifth Sense has been supporting Anosmia Awareness Day for the last three years. We hope it will continue to develop as an event that highlights the need for further research into olfactory disorders and also acts as a celebration of the importance of the sense of smell itself. For 2016 we are releasing a video entitled ‘Let’s talk smell and taste’ that was filmed at our 2015 members conference by Fifth Sense member and volunteer Sarah Page. It’s a short video consisting of interviews with people who attended the conference talking about why the senses of smell and taste are important and need more recognition. There are some really insightful comments from the participants and the video gives us a powerful tool that we can use to help us make our case going forwards. We’d like to take the opportunity to say a big thanks Sarah and everyone who was interviewed for the video. It will go live on our website on Anosmia Awareness Day itself. We’re also going to be launching our newly designed website in time for 27th February. Not only has the site had a major visual makeover but it features new content, including more information on smell and taste disorders. We hope you’ll find it much easier to navigate too. We will be continuing to update the site and add new content as the year goes on. Richard Boughton, Chief Executive of our partners FlavorActiV, is a self-confessed car nut. 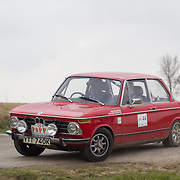 He has just embarked on the 2016 Winter Challenge Rally, driving his classic 1972 BMW 2002tii from Woodcote Park in Epsom to Monte Carlo over the next few days. 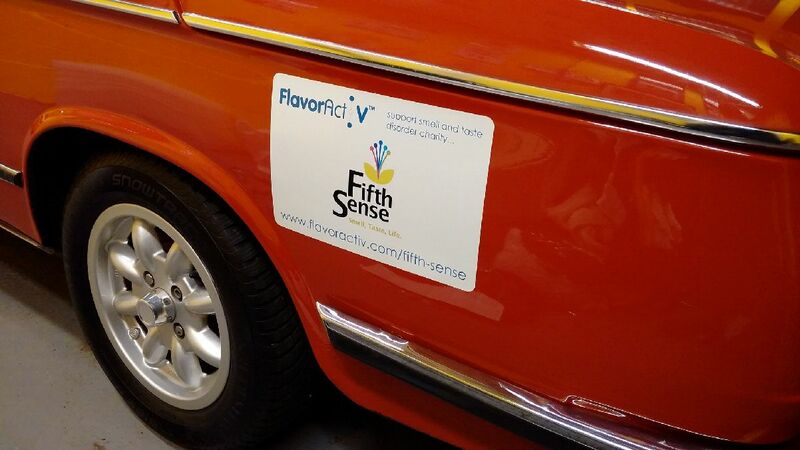 Richard decided to promote the partnership between FlavorActiV and Fifth Sense by having it emblazoned on his car. Cars in the rally don’t generally feature any logos, but Richard is planning to use this as a conversation-starter with other drivers; as he said, you never know who you might end up talking to who may wish to support Fifth Sense in some way. We’d like to thank Richard for this and we hope he’s first to the chequered flag! Wear red! If you’re already familiar with Anosmia Awareness Day you may be aware that this is what people are asked to do. If you decide to wear something red on Saturday then please take a photo and share it with us on twitter or Facebook. Alternatively email it to us at anosmiaawarenessday@fifthsense.org.uk and we’ll share it for you! Last year Fifth Sense member Claire Mulligan got all her work colleagues involved (left). It is of course happening on a Saturday this year which might make this a bit difficult for most people, although if anyone goes into work in the name of anosmia awareness we’ll be highly impressed! There’s another exciting piece of news that will be announced on Anosmia Awareness Day itself. This will be published on our website and Facebook/twitter pages so please do visit us online on Saturday to look out for it! This entry was posted in Uncategorized on February 22, 2016 by Fifth Sense. Fifth Sense and our partners FlavorActiV have begun a pioneering pilot study to test the abilities of taste and smell disorder sufferers in detecting the basic tastes (salt, sweet, sour, bitter, umami) in varying concentrations, and to determine if regular tasting can improve detection levels. A group of volunteer Fifth Sense members, including people from the Netherlands and Australia, are being sent four rounds of blind samples and asked to identify which flavour is present. The results will be fed into FlavorActiV’s Taster Validation Scheme, where they will be analysed after each round by in-house sensory experts, who will then advise each participant to alter the concentration levels accordingly. It is hoped that volunteers will have improved, or categorically ruled out, their ability to detect the tastes as a result of this study. 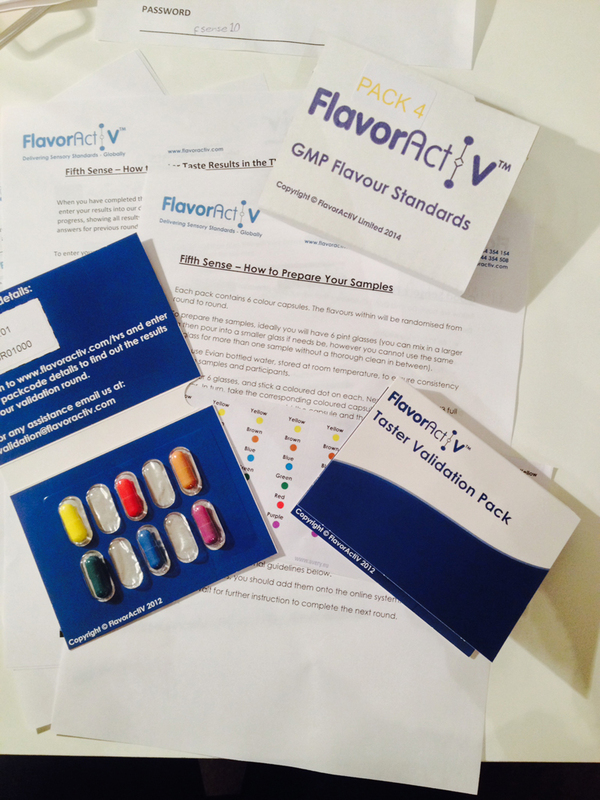 FlavorActiV sent out packs containing the samples and instructions (see photo below) to the volunteers at the beginning of February for the first of four ’rounds’ of tasting. The result of this pilot study will be published in summer 2016. The findings will aid the development of a take home Taste Kit for self-diagnosis and training, and a Taste Loss Scale to accurately determine level of taste loss. This will provide members with essential information to understand their own limitations and possibly discover previously unknown tasting abilities, an important step in developing skills and confidence. This entry was posted in Uncategorized on February 8, 2016 by Fifth Sense. Staff at one of the world’s leading companies in the fragrance and flavour business have recently been supporting Fifth Sense in a key area of our work whilst raising £1,750 to support the charity through a variety of fundraising activities. Firmenich is the world’s largest privately-owned company in the fragrance and flavour business. They are responsible for creating flavours and fragrances found in many household brands. Staff at the UK fragrance division in Southall came together at the annual Firmenich Community Day on 1st October and utilised their collective skills, experience and creativity to design and create a number of prototype smell training kits for use by Fifth Sense members. Fifth Sense Founder Duncan Boak was invited to visit Firmenich following the presentation he gave at the 2014 International Fragrance Association UK Fragrance Forum, where he described the devastating impact that olfactory disorders can have on patients’ quality of life. On his first visit to the Southall site he met members of the management team including UK General Manager Gary Nelson, Global Category Manager Carlos Almasque and Master Perfumer Martin Koh. Duncan explained how smell training – with which Martin and other Firmenich perfumers are very familiar – can benefit people who have suffered olfactory loss and how Fifth Sense has been developing a smell training kit. Martin assembled some fragrance ingredients and Carlos and Duncan drafted a brief for Firmenich staff to design a prototype kit. 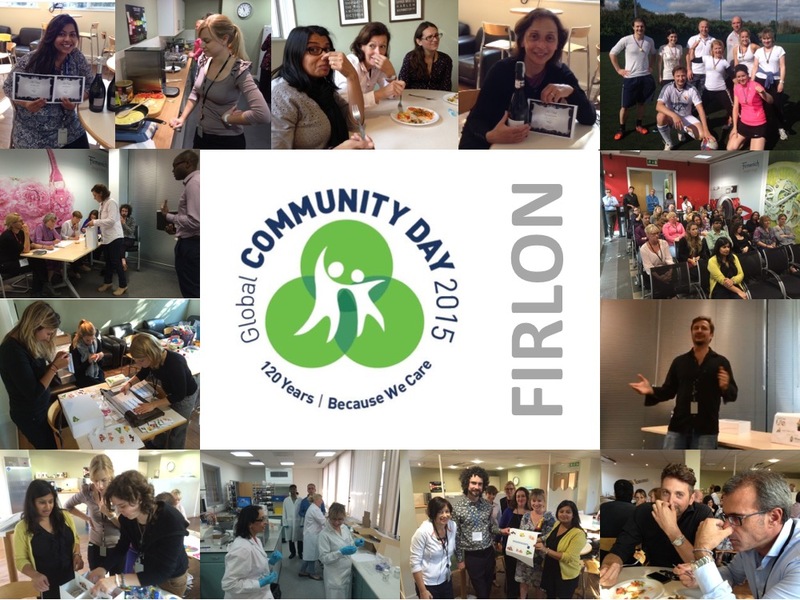 Carlos then launched ‘the Nose Factor’ on Community Day, and Firmenich staff worked in teams to brainstorm ideas and create kits. The entries were then evaluated by a panel of ‘Nose Dragons’ – Duncan and his team of Fifth Sense members, who had the very difficult task of picking a winner from the array of brilliant kits. Another Firmenich team accepted the challenge of creating dishes that could be enjoyed enjoyed by anosmics; they did this by wearing nose clips that deprived them of the ability to perceive aroma and flavour, forcing them to focus on how their other senses as well as elements such as texture and appearance might be highlighted. The Dragons were called in to judge the results. During the afternoon, the Firmenich teams formed a production line to assemble 21 smell training kits based on the winning design. While the day ended with prizes being awarded to the Firmenich staff who prevailed in these friendly competitions, the real winner was Fifth Sense, which benefited from the talent, enthusiasm and tremendous generosity of Firmenich staff. The smell training kits were given out to Fifth Sense members to trial at the annual conference on 1st November. 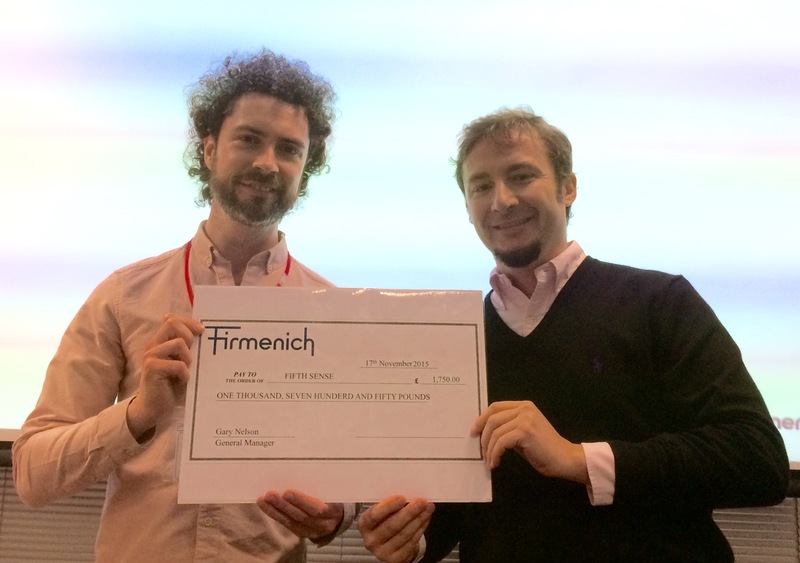 We would like to say a big thank you to the Firmenich team for all their efforts in support of Fifth Sense. This entry was posted in Uncategorized on February 1, 2016 by Fifth Sense. We’re delighted to announce details of an exciting partnership with FlavorActiV, the world’s leading sensory training and taster management company. FlavorActiV consists of a highly-skilled team of professional taste trainers who use the company’s flavours and sensory tools to train, analyse and support tasting panels across the global beverage industry. In simple terms, they take ‘average’ tasters and turn them into consistent, reliable tasters through targeted training. The hope is that they will be able to use these skills to support Fifth Sense members to recognise and re-learn tasting abilities. To give an idea of the background to this, an important area of our work is around educating people on the distinction between smell and taste, and how the two combine to create flavour. Part of that involves helping people who have suffered olfactory loss become aware that this doesn’t necessarily mean complete loss of taste. This draws directly on the experiences of Fifth Sense Founder Duncan Boak and other Fifth Sense members who have learned to appreciate the nuances of their ability to perceive basic tastes – sweet, sour, salt, bitter and umami – and utilise this when cooking and enjoying food and drink. 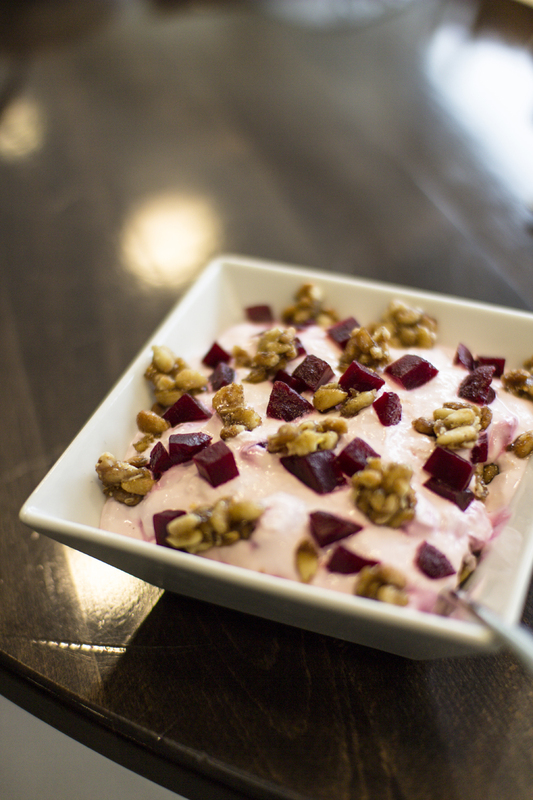 We believe that the partnership with FlavorActiV gives us a great opportunity to help many people become better aware of their own tasting ability and learn to appreciate what they can still detect, as opposed to focusing on what they are missing out on. It is going to be a learning experience for both parties, of course; as far as we are aware, no-one has ever tried to develop any sort of taste training for people who have suffered olfactory loss before. 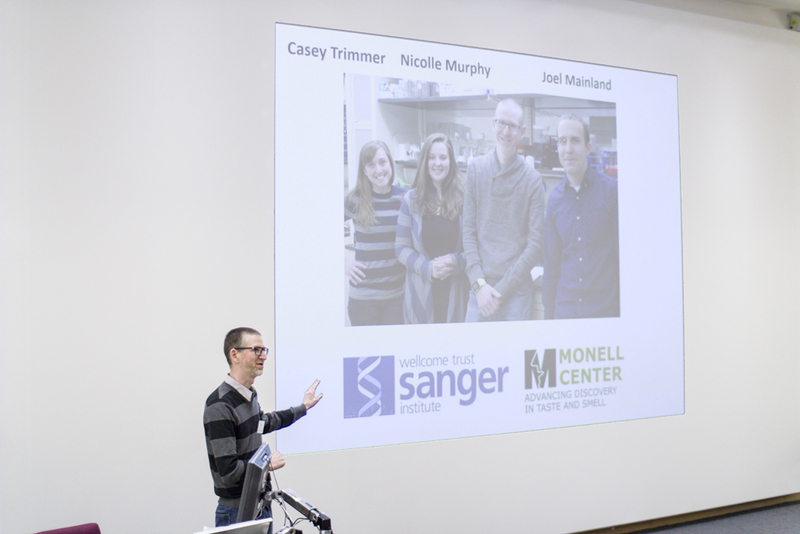 We are incredibly excited about the opportunities afforded by the partnership. 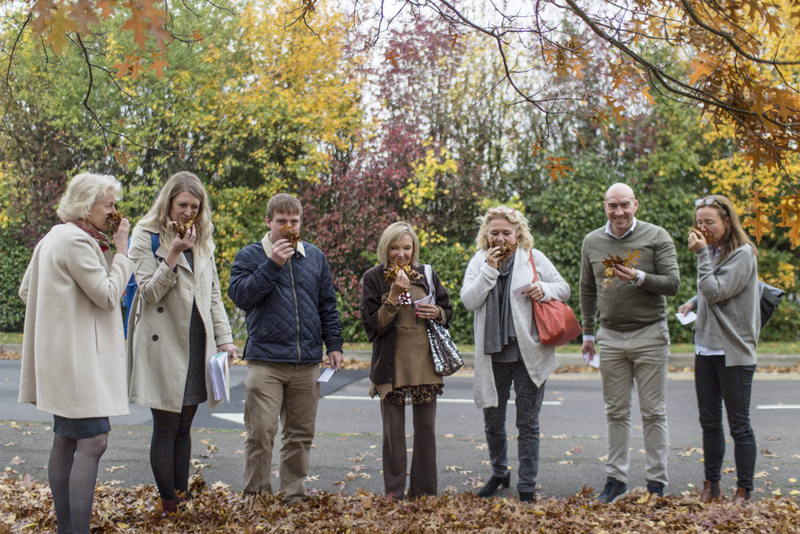 FlavorActiV are running a pilot study in early 2016 with a group of Fifth Sense members who volunteered at our annual conference in November and we are looking forward to sharing news on further developments in due course. This entry was posted in Uncategorized on December 16, 2015 by Fifth Sense. The third annual Fifth Sense conference on October 31st and November 1st run in partnership with the University of Surrey and supported by FlavorActiV was a highly successful coming together of Fifth Sense members, clinicians and researchers, sharing experiences and knowledge to advance our understanding of smell and taste disorders. Fifth Sense founder and chair Duncan Boak opened the conference, themed ‘Let’s Talk Smell and Taste’, by describing how consolidating the structure of Fifth Sense and developing near and long-term objectives has been a key focus of 2015. Duncan described the genesis of Fifth Sense and re-emphasised its commitment to supporting members; raising awareness among medical professionals, educators and other influencers and encouraging more public discourse through media and other channels, to push these hidden disorders to the fore – hence the theme ‘Let’s Talk Smell and Taste’. Next, Richard Boughton, CEO of FlavorActiV, addressed his own route into a career dominated by the ability to smell and taste, first as a brewer and now as the leader of a global team of professional taste trainers who use the company’s own range of flavours to train tasting panels across the beverage industry. Richard talked about how FlavorActiV had learned about Fifth Sense’s work and how they aim to use their skills and expertise to help Fifth Sense members become better aware of their own taste/flavour perception abilities. The remainder of the morning was devoted to a number of engaging presentations by clinicians, scientists and researchers including Consultant ENT Surgeon Mr Carl Philpott and Dr Darren Logan of the Wellcome Trust Sanger Institute/Monell Center as well as a Q&A session for audience members with ENT Consultants Miss Lisha McClelland and Mr Philpott. These covered current understanding and treatment of disorders in terms of potential remedies and how patients are treated and guided by GPs and Consultants. Following this there were short presentations from Mr Philpott, Dr Logan and researchers Dr Lorenzo Stafford (University of Portsmouth) and Dr Jon Silas (University of Roehampton) around ongoing research and future possibilities. Following lunch, Fifth Sense members participated in condition-specific workshops. Discussion took place around what further support and information people wanted to see from Fifth Sense on specific causations and also how members felt future research should be directed. 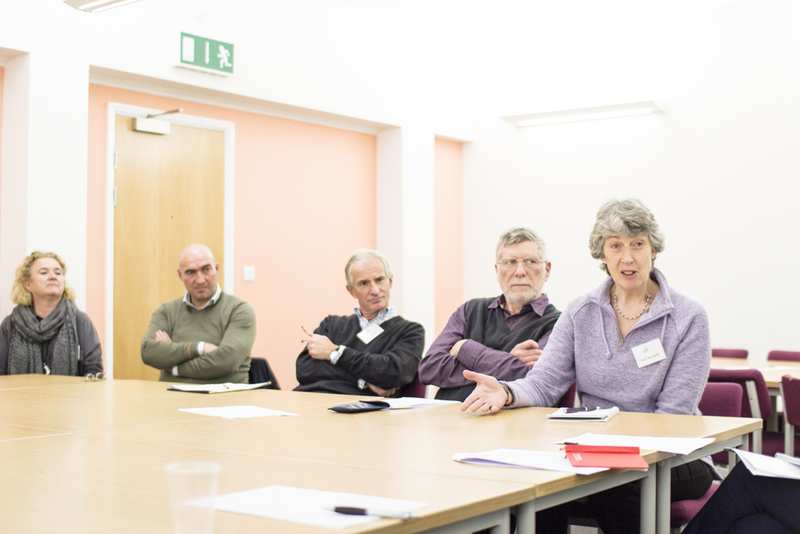 The outcomes of each workshop were then then fed back and discussed in the closing session. 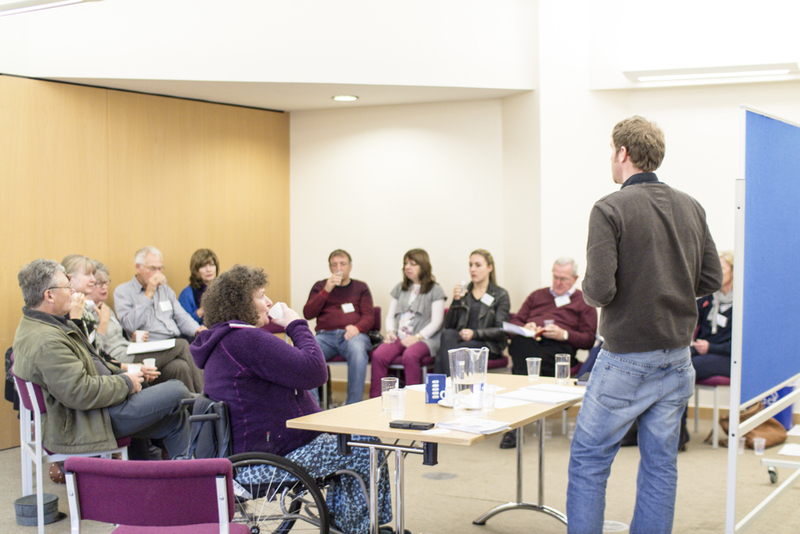 Duncan and members of the Fifth Sense team are going to be meeting in November to discuss how the ideas that came out of the sessions can be taken forwards. On the Saturday evening members of the Fifth Sense team and guests convened at a pub in Guildford for a chat over some liquid refreshments – just what was needed after a day of thought-provoking discussions! The second day of the conference featured a range of interactive workshops targeting quality of life aspects of smell and taste disorders. Some of these were focused on providing practical support and advice such as the ‘food and cooking’ session led by Duncan Boak and Adrian Wellock which generated a great deal of discussion amongst the participants around increasing the enjoyment of food by paying more attention to other sensory elements in food such as texture and spiciness. 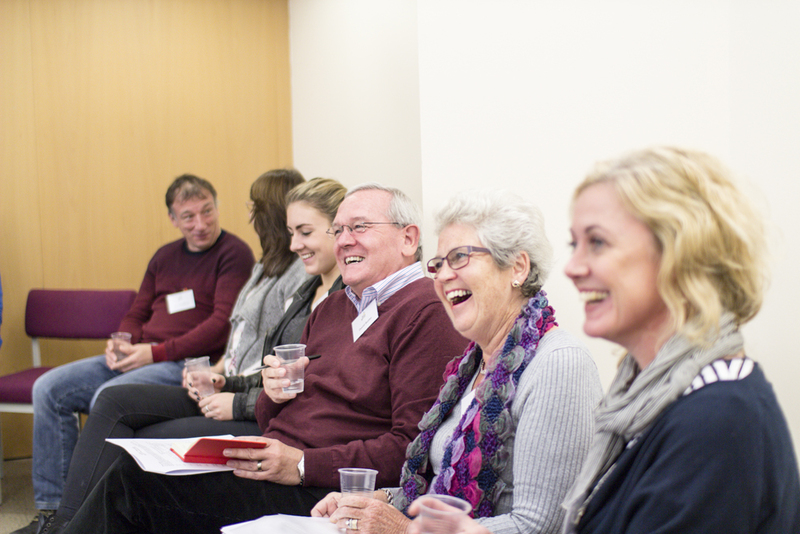 The ‘Taste, Train, Enjoy’ workshop provided an opportunity for open discussion on how FlavorActiV’s tools and taste trainers could be best utilised to support Fifth Sense members. The liquid taste and smell samples were used to spark a wider conversation about the practical use of ‘Take Home Taste Kits’ for self-diagnosis and independent training, and to offer the opportunity for members to volunteer to form part of a pilot study to learn the true value of bespoke, continuous taste training to improve taste/flavour perception abilities. More details will be released soon, but encouraging first steps were made and the FlavorActiV team received some invaluable feedback from members to help guide future activities. The ‘Smell Training’ workshop also had a practical element, with Duncan talking about the rationale for smell training and what Fifth Sense has learned from the fragrance industry, particularly around ways of communicating and describing smells. 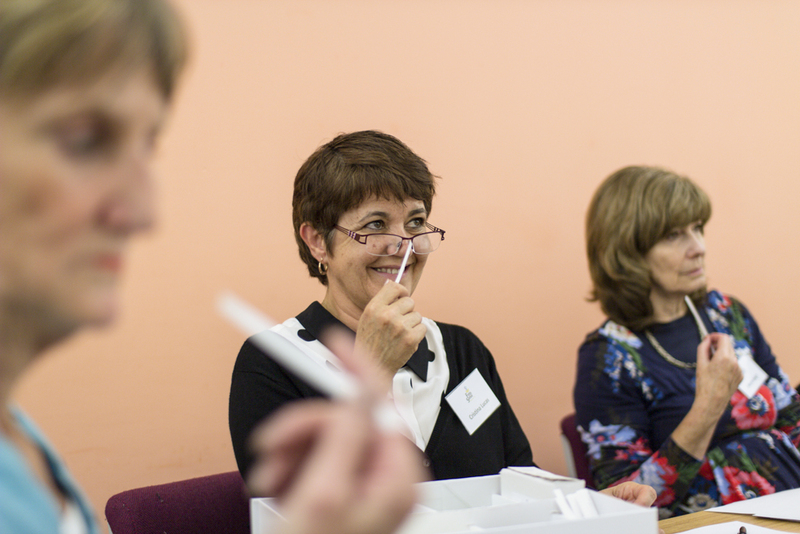 This led on to guests being given some prototype smell training kits which have been developed recently for Fifth Sense members to trial by staff from an organisation in the fragrance industry. Duncan and Tom Laughton guided people through the kits and gave advice on how to use them effectively. There was also a great focus on helping Fifth Sense members come to terms with sensory impairment. 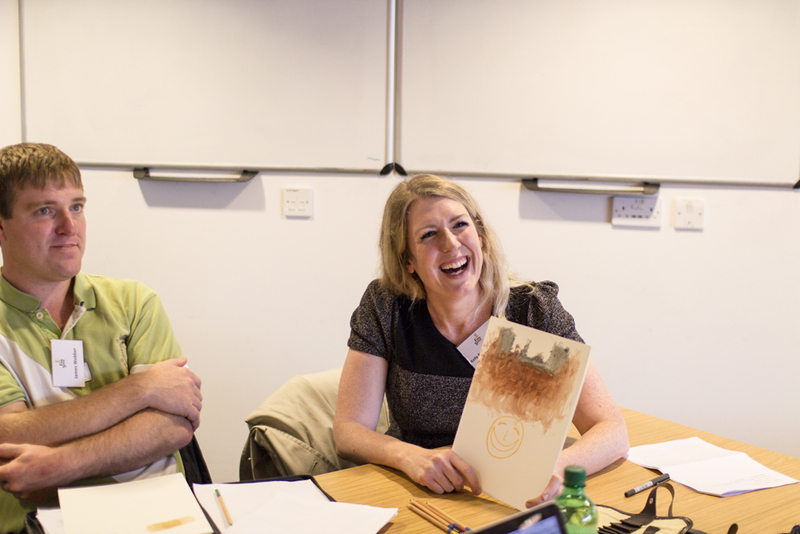 Tom Laughton’s ‘coping with the loss of a sense’ session gave participants the opportunity to express what their loss has meant to them and gain understanding from others through doing so. Kelly Benneworth-Gray and Kate McLean ran workshops that explored different ways of communicating and sharing olfactory impairment. Kelly’s session focused on the language of olfaction and the challenges associated with describing olfactory disorders. Kate’s workshop involved participants creating visual representations of their perceptions of the olfactory world followed by a ‘smell walk’ that encouraged participants to share their retained memories of smells. Special mention must go to University of Surrey’s Lakeside Restaurant led by Head Chef John Walter and Restaurant Manager Rhian Jones for the delicious lunch that was provided on the Sunday which featured a spicy beef chilli alongside a milder mixed vegetable chilli. Accompaniments included hand-made tortilla chips (described as ‘historic’ by one guest), spiced beetroot-infused sour cream with walnuts and a pomegranate, mango and sweetcorn salsa. Dessert was a damson sorbet made with some of John’s homemade damson gin which was extremely popular! Overall it was another highly successful conference and we are already making plans for Fifth Sense events in 2016. We’d like to say a big thank you to the following people for their part in making this year’s event such a success: Special mention to Charlotte Beebe for all her hard work in organising and running the event (and her mum for coming along and assisting on the Saturday), Julia Gerhold, Rhian Jones, John Walter, Tony Webber and the rest of the team at the University of Surrey, Richard Boughton, Liam Singleton, Martin Thomas and all at FlavorActiV, Kelly Benneworth-Gray, Tom Laughton, Darren Logan, Kate McLean, Miss Lisha McClelland, Sarah Page, Mr Carl Philpott, Alex Reilly, Jon Silas, Lorenzo Stafford, Adrian Wellock ….and, of course, to all the guests who joined us on the day. This entry was posted in Uncategorized on November 26, 2015 by Fifth Sense. 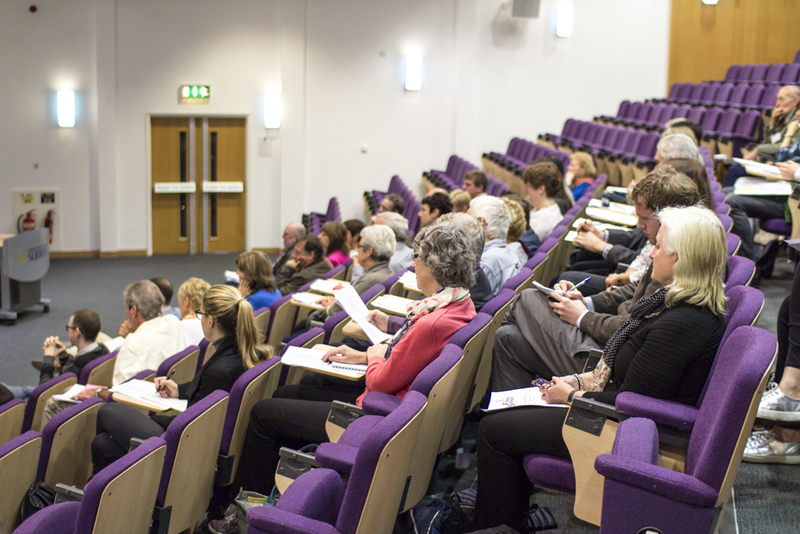 The 2015 Fifth Sense conference will be taking place on 31st October and 1st November at the University of Surrey in Guildford. This is our theme for the 2015 conference. We want to encourage those of you who are affected by a smell/taste-related disorder to talk about your condition and how it affects you. The Sunday workshops will also be a good opportunity to talk about any ways you may have of coping with your condition so that everyone can learn from these shared experiences. We’re also encouraging you to attend with your partner, or perhaps a friend or family member, so they can gain a better understanding of what it means to have a smell/taste disorder. We’ll be carrying the ‘Let’s Talk Smell and Taste’ theme on into 2016 as part of our efforts to encourage the wider public to better appreciate these senses and become more aware of the impact that smell and taste disorders can have. Day one of the conference is for anyone who wishes to find out more about smell and taste disorders, existing treatments and the possibilities that future research may bring. – Different types of smell and taste disorders, their causes, and potential treatments. – ‘Consultant Q&A’ session where audience members will have the opportunity to have their questions answered by Consultant ENT Surgeons Mr Carl Philpott and Mr San Sunkaraneni. On the Saturday evening we’ll be organising some sort of social gathering for anyone who wants to join us, details will be confirmed nearer the time. Accommodation is not included in the weekend ticket price above, however we will be providing details of local accommodation when tickets go on sale. This entry was posted in Uncategorized and tagged anosmia, conference, fifth sense, smell and taste on September 4, 2015 by Fifth Sense. Enter your email address to follow the Fifth Sense news blog and receive notifications of new posts by email.